Stand out from the competition and make a lasting first impression with plastic business cards from Suncoast Identification Solutions. Handing a prospect, a custom plastic business card not only makes a statement, but it also creates a reason to remember you. Plastic business cards are perfect for virtually any industry, including fitness centers, religious institutions, marketing companies and real estate firms. At Suncoast Identification Solutions, our custom cards are the size of credit cards and easily fit into a person’s wallet. Use them to create a strong connection with a prospect or stay in contact with a client. With our cards, the vibrant, full-color imprint is protected under a durable waterproof overlaminate. Want to be able to write on your cards? Opt for a matte finish in place of the high-gloss laminate, and use any pen to fill in important information on the spot. 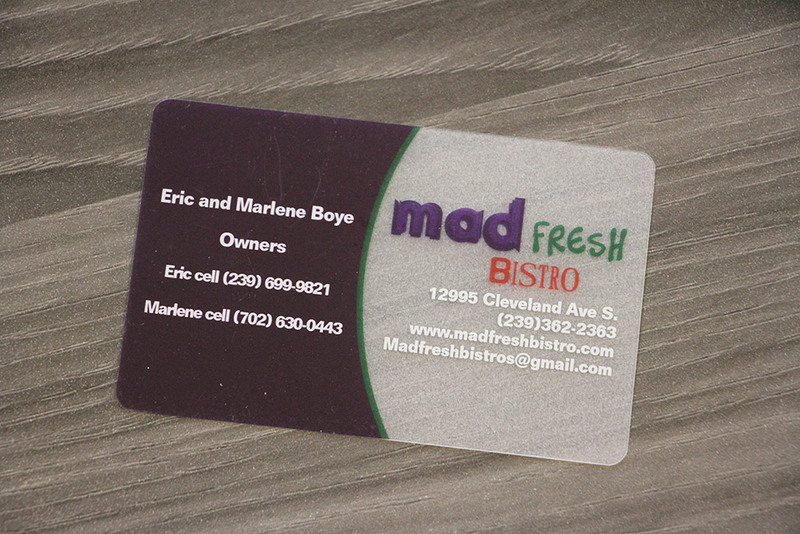 We also offer transparent or frosted plastic cards for those who want to make an even bigger statement. 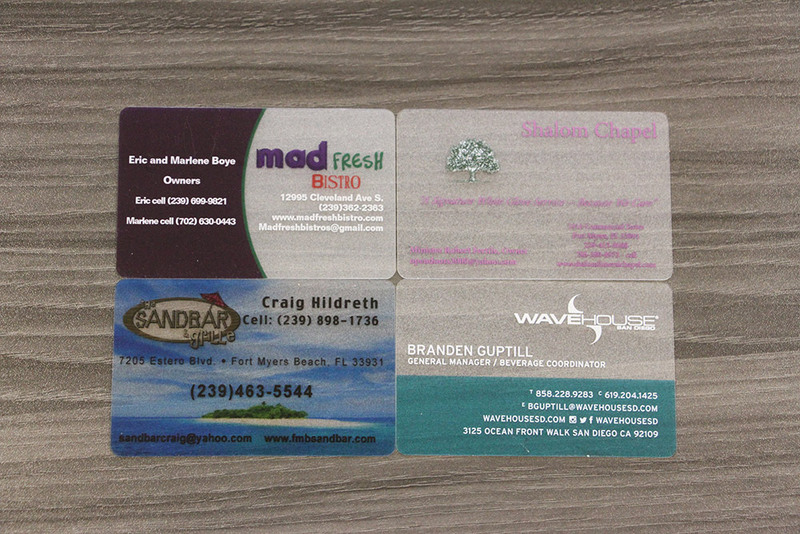 There are countless ways to make your custom plastic business cards stand out from the pack. Our designs are available with square or rounded corners. Likewise, we can create your cards to feature your logo or print-ready artwork. Need some help coming up with a design? Interested in professional expertise to create cards that make a great impression? Our graphics department can help you design cards that truly reflect your business and what you do. For more than 20 years, Suncoast Identification Solutions is the industry leader in plastic card printing and manufacturing. Today, we’re proud to offer the fastest turnaround times on customized printing solutions, as well as the highest level of customer service. Our sales and support staff truly go above and beyond to deliver what you need. Work with us on your plastic business cards, and count on our experts to see you through all phases of design and printing!